END OF FINANCIAL YEAR SALE. 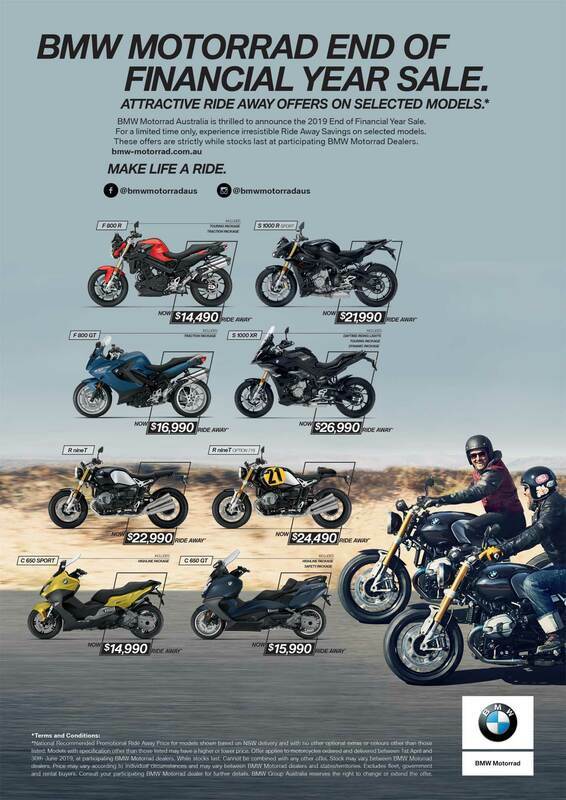 BMW Motorrad Australia is thrilled to announce the 2019 End of Financial Year Sale. For a limited time only, experience irresistible Ride Away Savings on selected 2018 and 2019 compliance models. These offers are strictly while stocks last. ​Give us a call NOW to talk a deal!